Raymond J. Villetta, 81, of Freedom, NH, (December 20, 1937- March 27, 2019) passed away peacefully at his home following a long battle with cancer. Mr. Villetta was born and raised in Haverhill, MA. 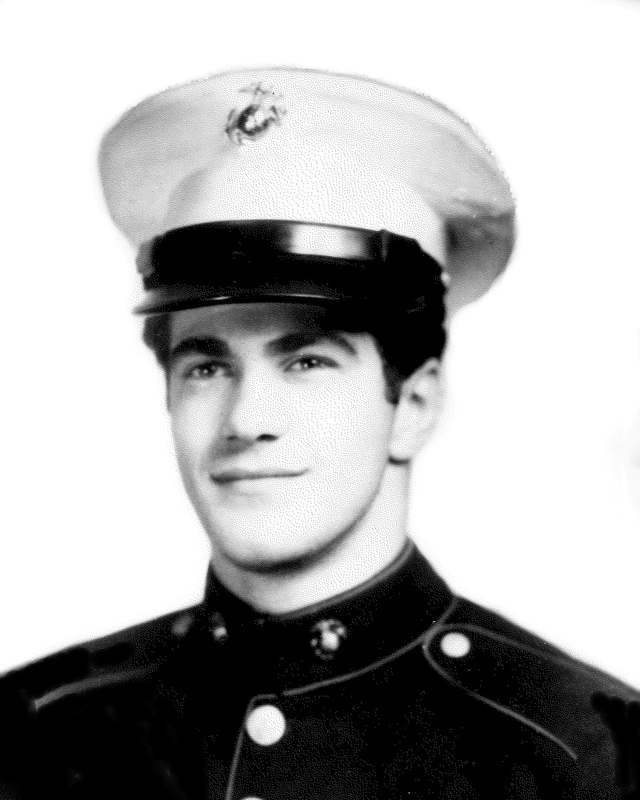 He graduated from Haverhill High School in 1956 and served in the U.S. Marine Corps from 1956-1959. He was the son of the late Emilio J. Villetta and Marie (DiPirro) Villetta. Raymond was employed at Bay State Gas Company in Lawrence, MA, before retiring as a warehouse manager in 1986. He built his dream log home on the lake, where he and his family enjoyed boating with extended family and friends. Ray and Bev enjoyed their many dogs, especially his favorite Golden Retriever, Sammie. Trips to Foxwoods, vacationing throughout the country and traveling throughout Europe, were among Raymond's joys, but he especially loved the Orient Express. When he wasn’t eating his wife’s home cooking, he had his favorite seat at Rosie’s Diner, enjoyed hanging at Dunkin with the guys, or simply at home with their lake friends and the Maginnis family. As a child, Raymond attended Catholic Church-CCD, spent summers at Boy Scout Camp, and played baseball and basketball. He played the guitar and was passionate about music, especially country, and loved riding his motorcycle and driving his favorite red sports cars around the lakes and White Mountain region. He was a diehard Red Sox and New England Patriots fan, enjoyed family dinners, and simply spending time with his daughter, son-in-law, grandsons, and grand-doggy. In addition to his parents, Raymond was predeceased by his son, Mark James Villetta; his brother, Louis M. Villetta; and sisters, Theresa Reynolds, Jenny Bennett, Alice Petrillo, Eleanor Linehan, and Lillian Linehan. Raymond is survived by his wife, Beverly (Maginnis) Villetta, who is originally from Lawrence, MA; daughter, Nanceann (Villetta) Law and husband, Scott B. Law of Sandown, NH; grandson, Scott J. Law and fiancée, Nichole Ferronetti; and great-grandson, Lucas Law of Sandown, NH; grandson, Jordan Law and Chloe Brett of Dover, NH. He also leaves behind several sisters-in-law, brothers-in-law, loving nieces and nephews, and many close friends and neighbors who went above and beyond to help him remain in his home with his beloved wife and caretaker, right up until he lost his long-term battle with cancer. Special thanks to his former co-manager and closest friends Roger and Jane Bazin, who were right there anytime day or night. Relatives and friends are respectfully invited to visiting hours on Wednesday, April 3, 2019, from 9:00-11:00 AM at Cataudella Funeral Home, 126 Pleasant Valley Street in Methuen. A funeral service will be held at 11 AM in the funeral home following calling hours. Interment will be held at St. Mary- Immaculate Conception Cemetery in Lawrence. Donations can be made in Raymond’s honor to the VNA Hospice or the Veterans Administration.